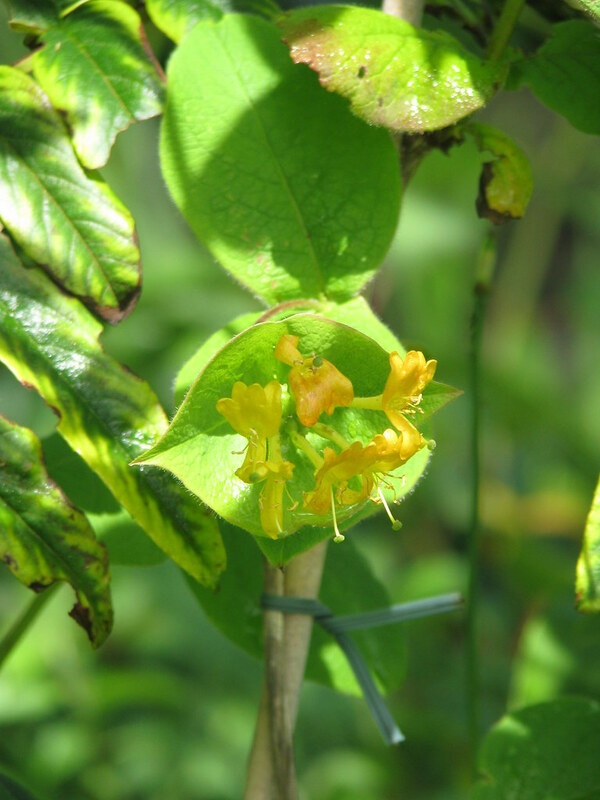 A honeysuckle from North America with broad green leaves and heads of golden flowers subtended by a pair of rounded bracts. 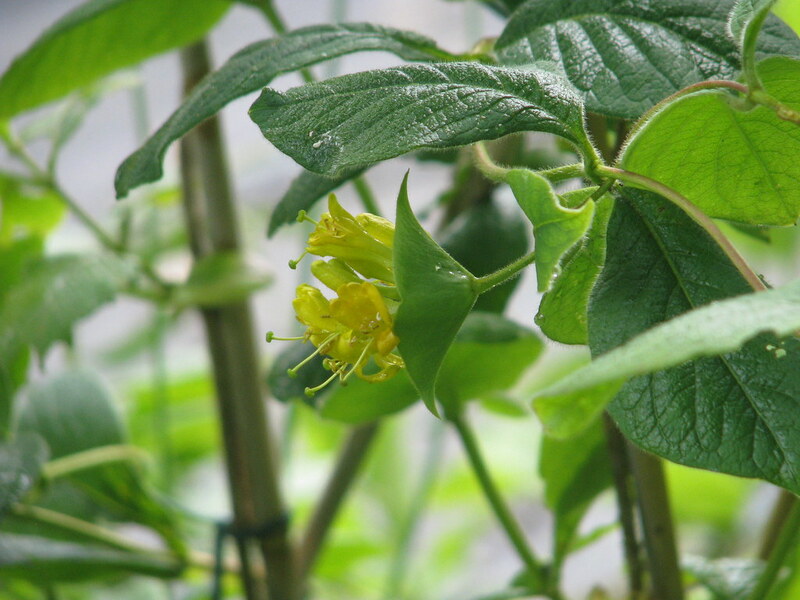 A lovely and rare woodland climber. 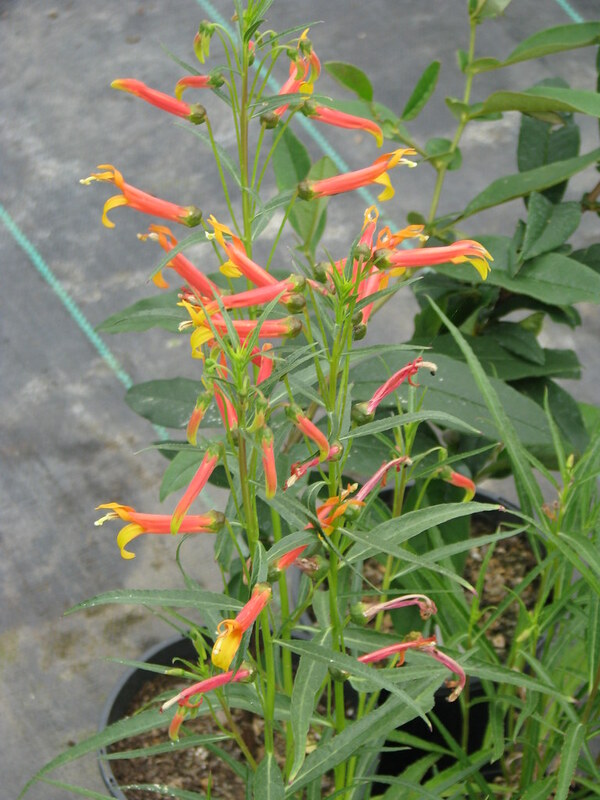 A spreading perennial with fresh narrow foliage topped in summer with tubular orange and yellow flowers. Hardy here. It might suffer in a very cold year but otherwise a reliable border perennial. This has a reputation for running but I’ve not found it excessive. A quite highly sought-after Asian species, superficially similar to A.cernuum but slightly larger and without the nodding flower stem. It also needs cooler, moister conditions. 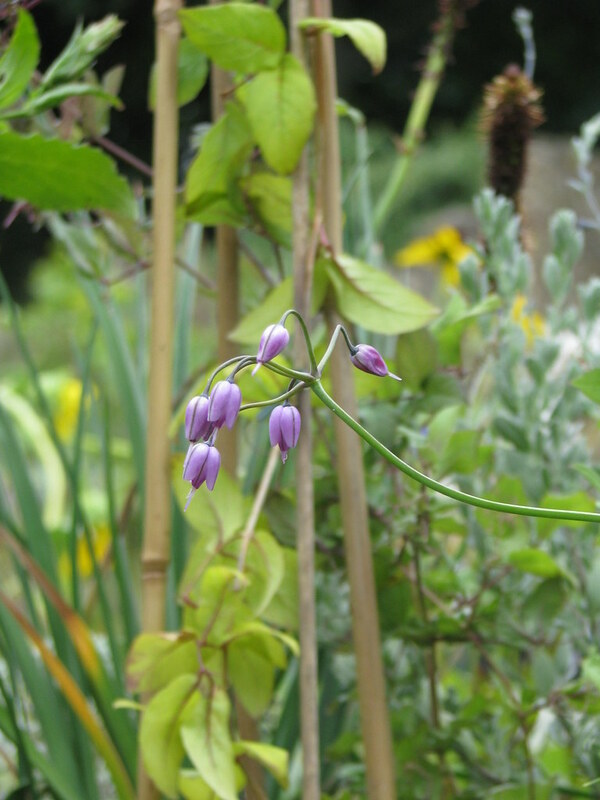 In this form the flowers are a soft purple. 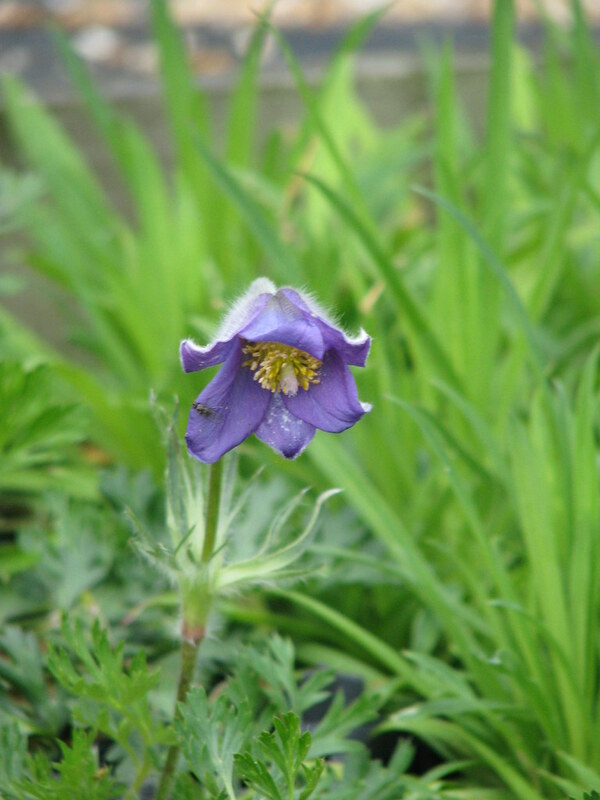 A very lovely Chinese pasque flower with the nearest blue flowers I've seen in the group. 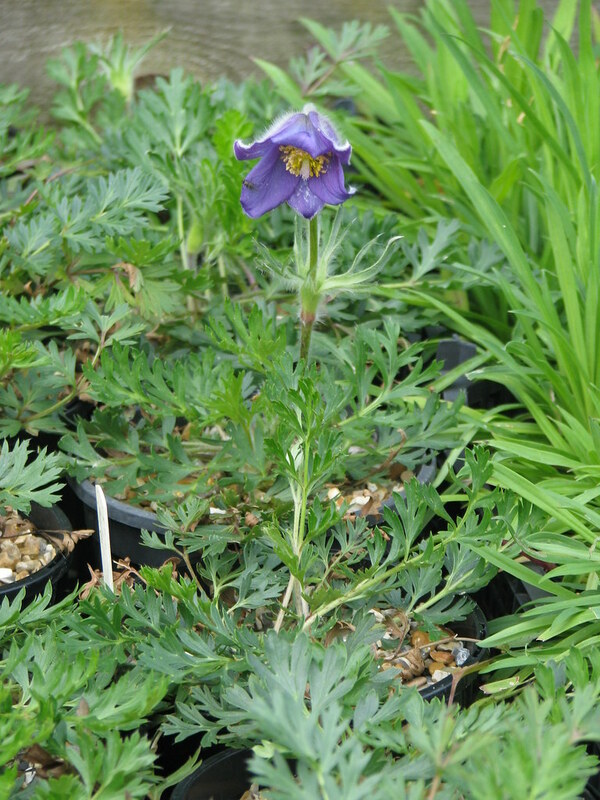 Easy and hardy in 'alpine' conditions (freely drained but not parched soil and full exposure to the sun and air). This is the parent plant in a garden in Ontario. 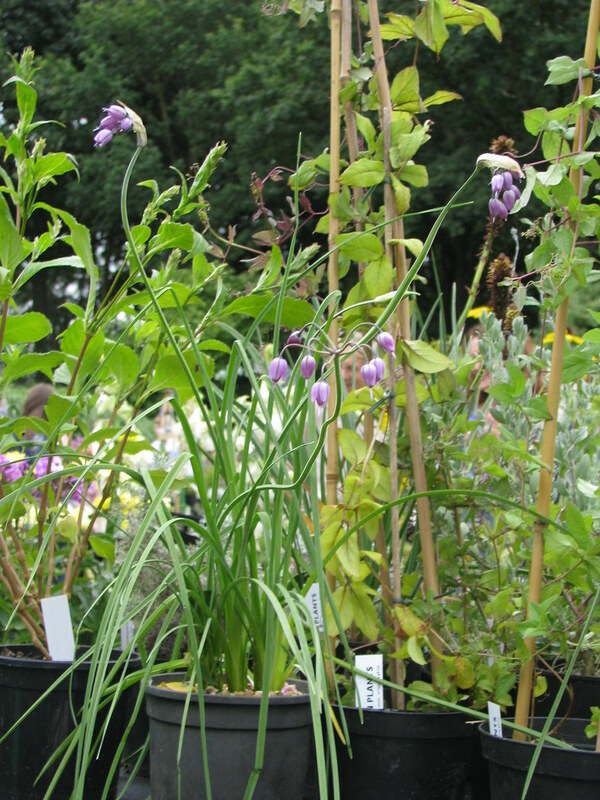 Thanks to Rob & Sharon Illingworth for the seeds.